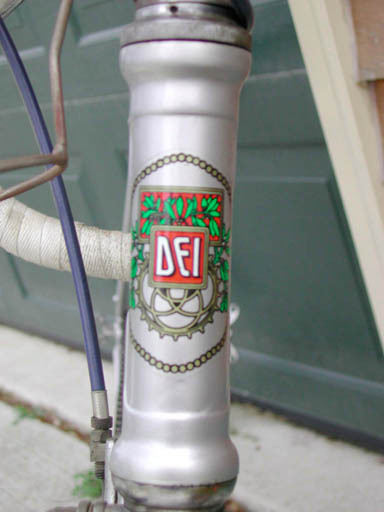 Closeup of the classic Dei logo headtube decal. 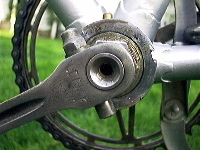 Front and rear hub details. 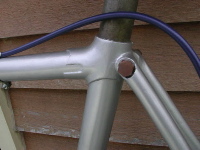 The bits on the forks are for mounting mudguards. 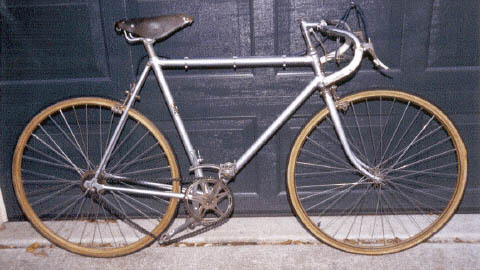 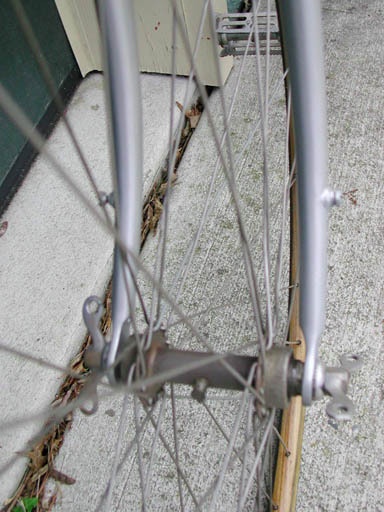 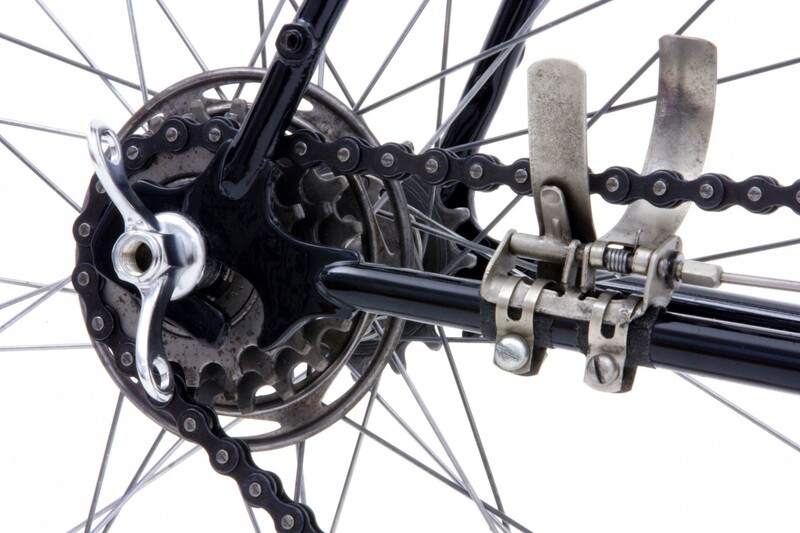 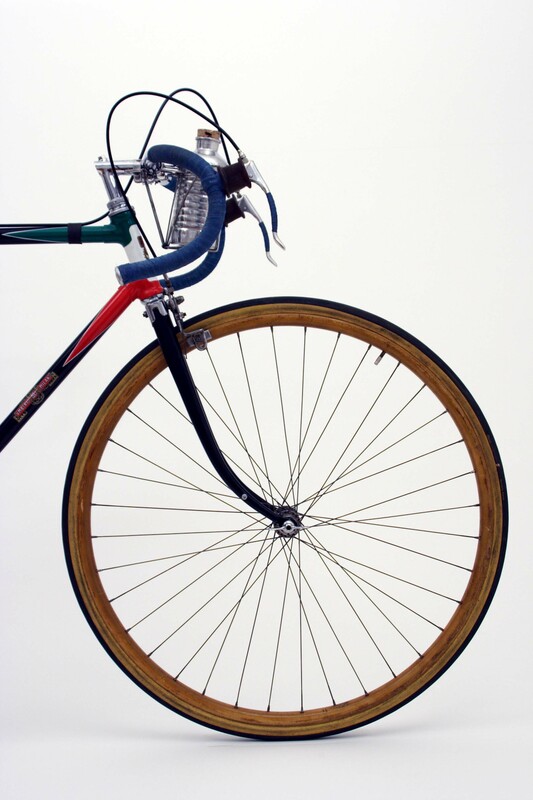 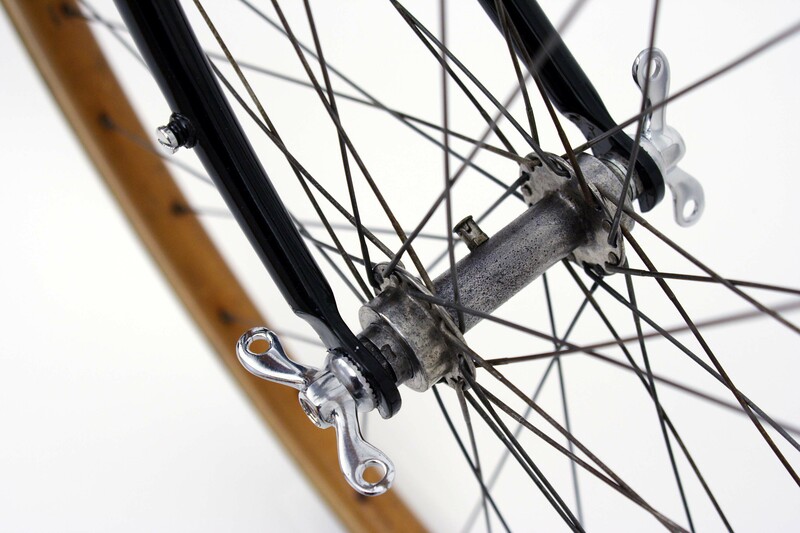 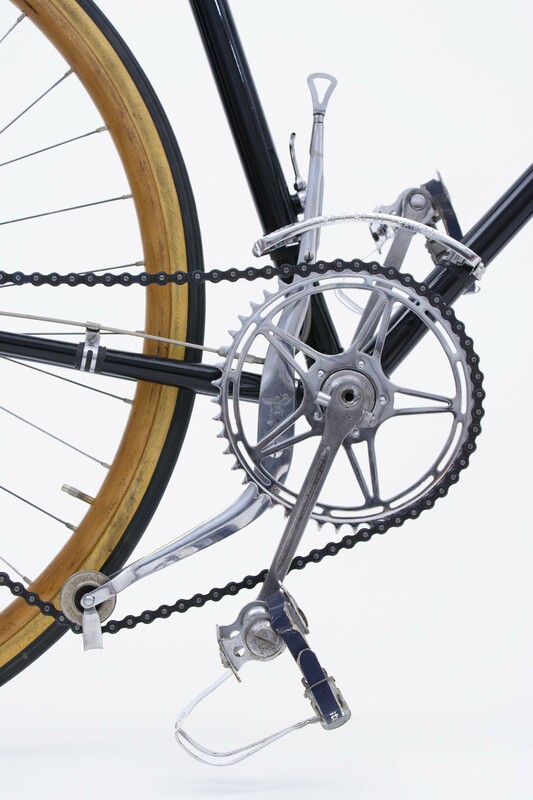 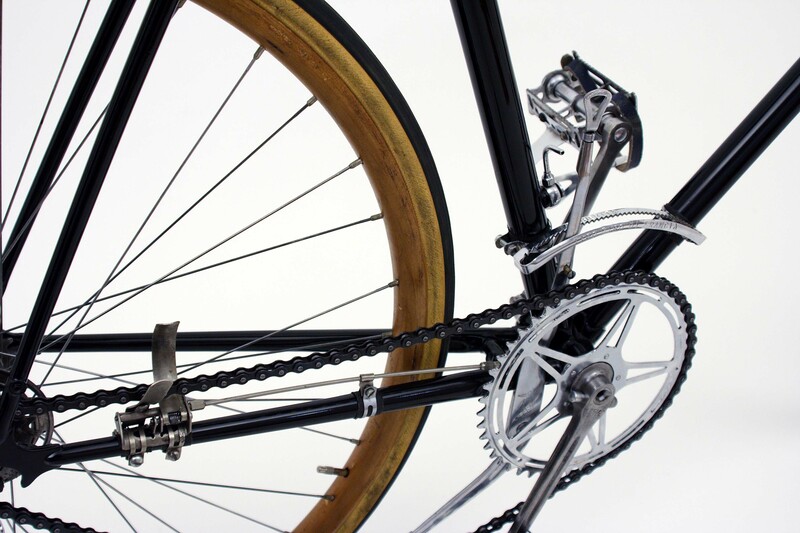 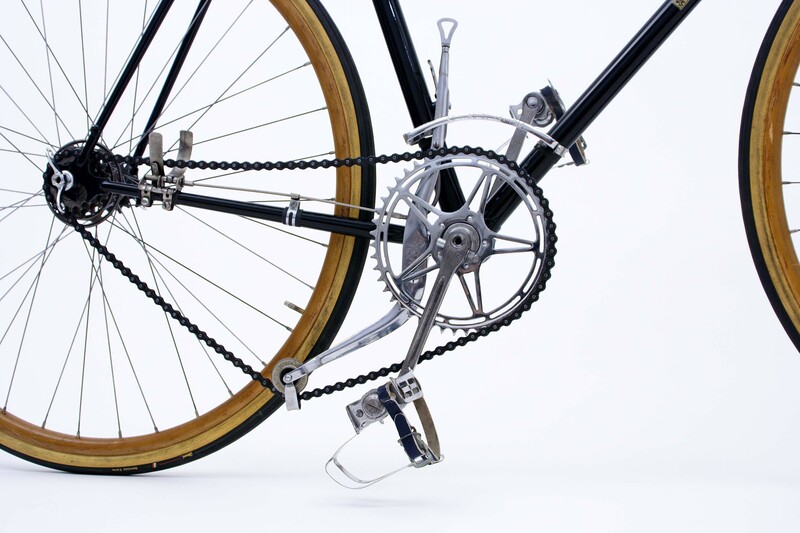 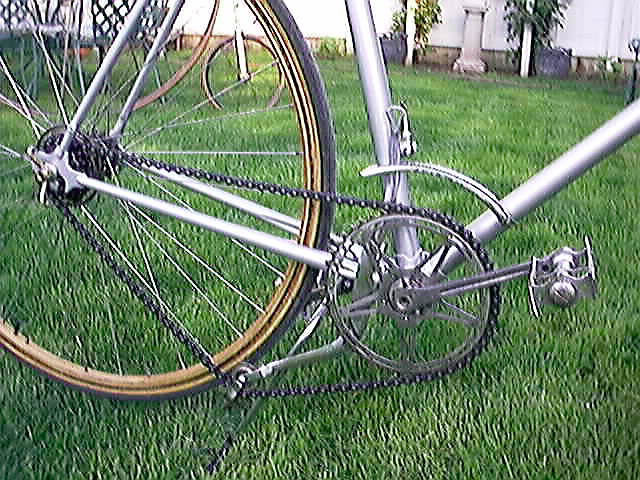 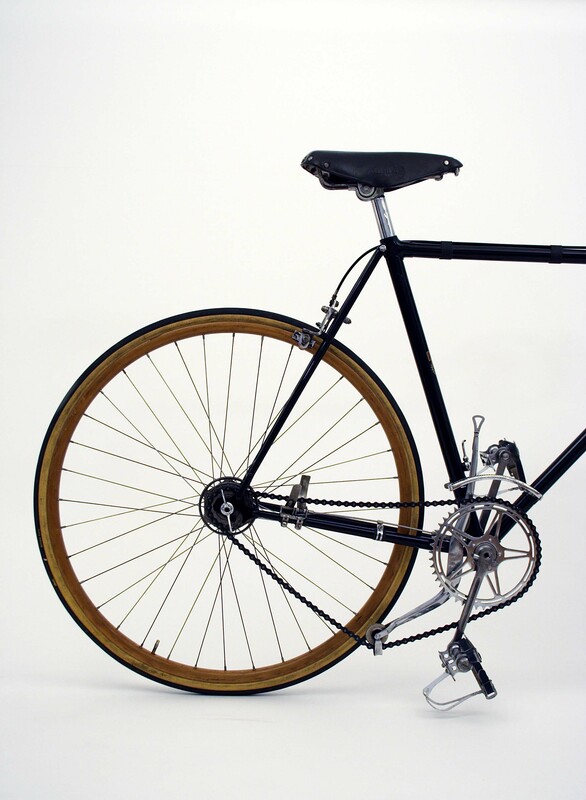 Note the wingnuts and double-sided rear hub, with fixed cog on one side, and 3-speed freewheel on the other. 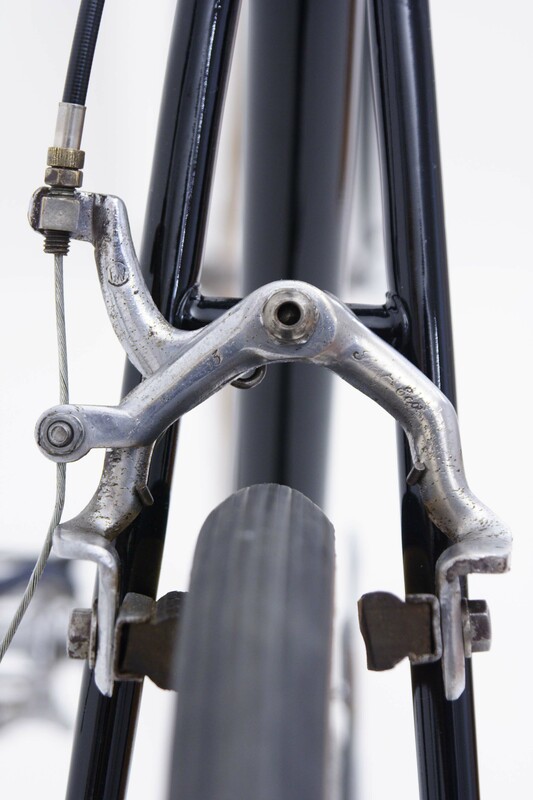 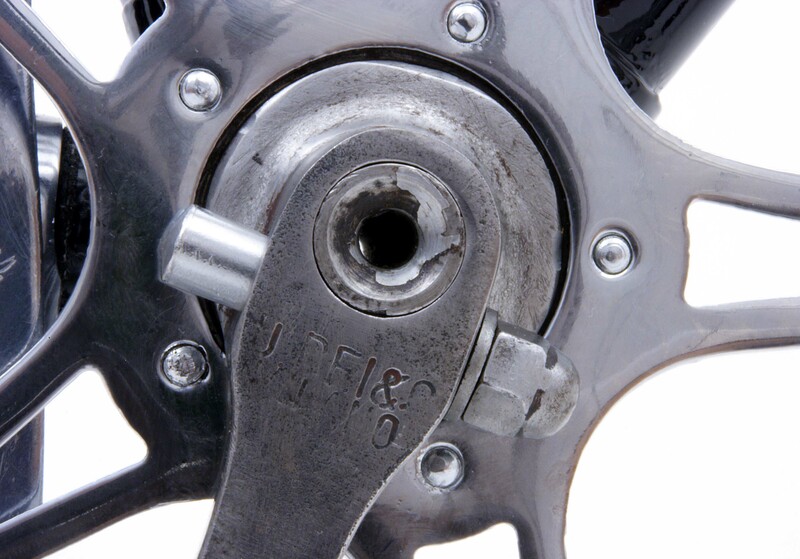 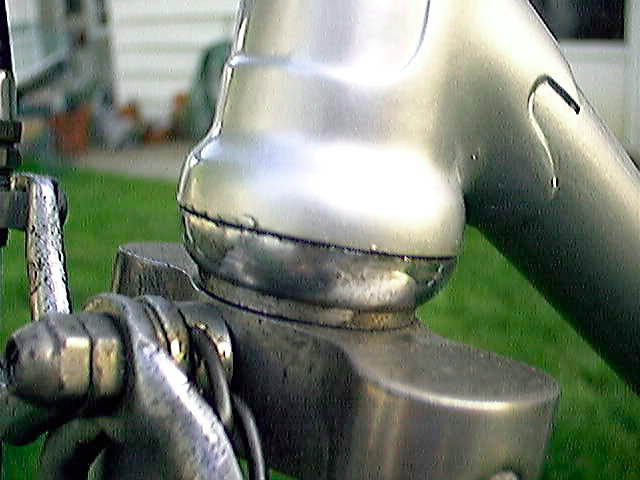 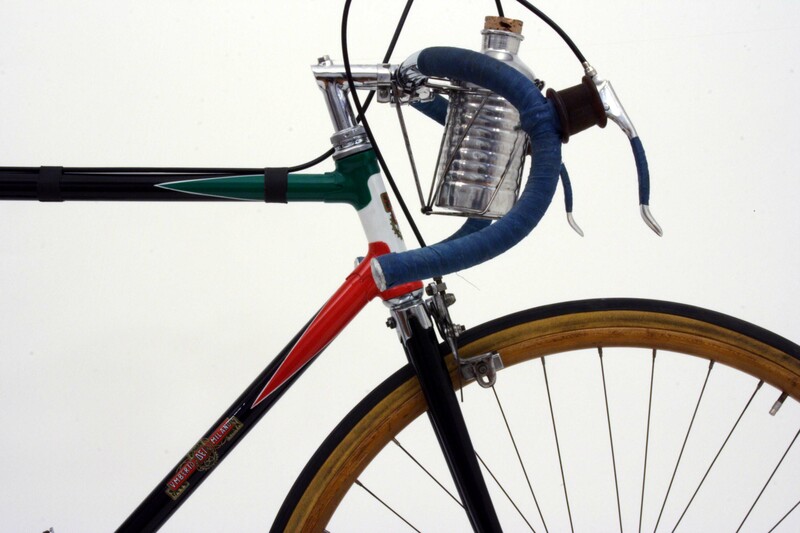 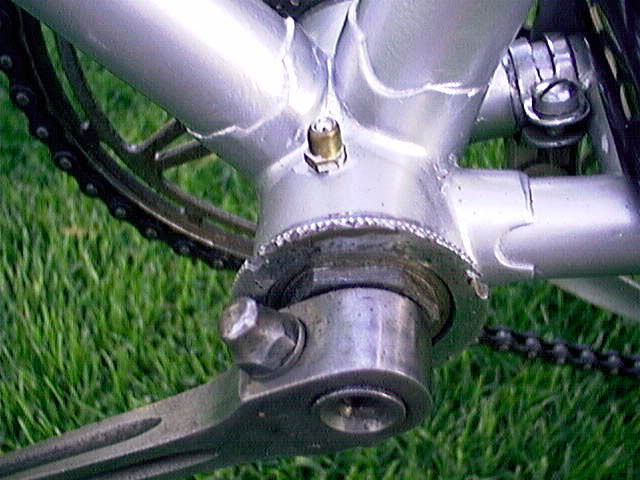 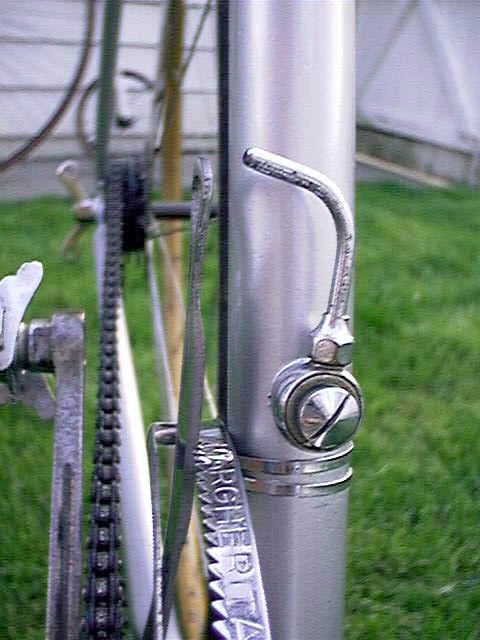 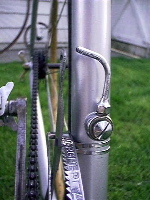 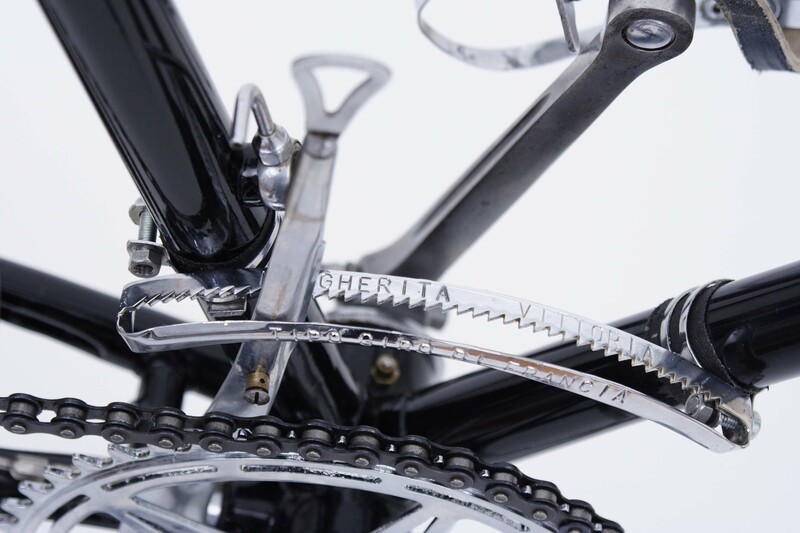 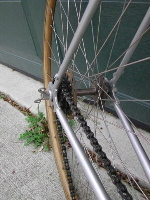 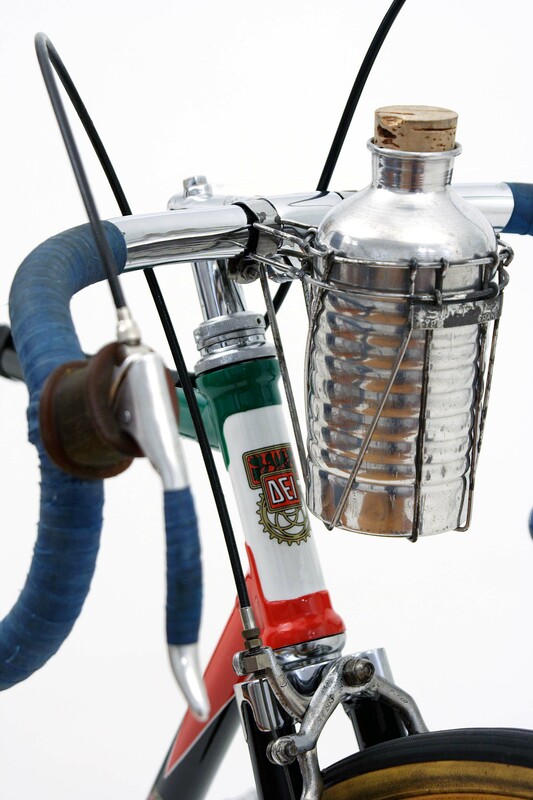 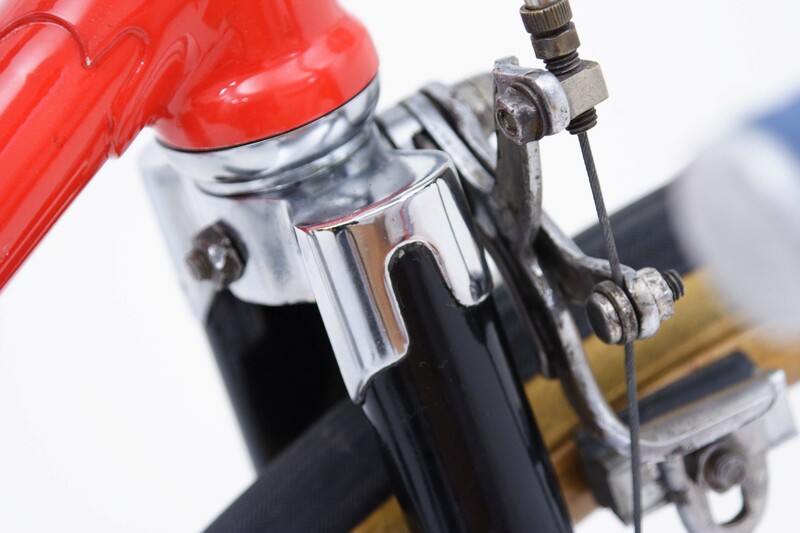 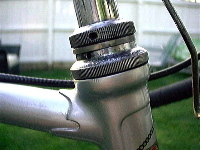 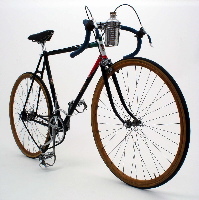 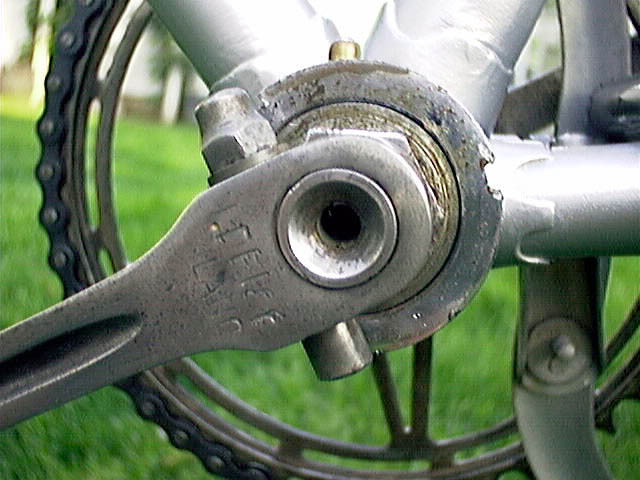 Closeups of the left side bb shell, showing the lubrication port so common to bikes of this period, and the "DEI MILANO" stamping on the crankarm. 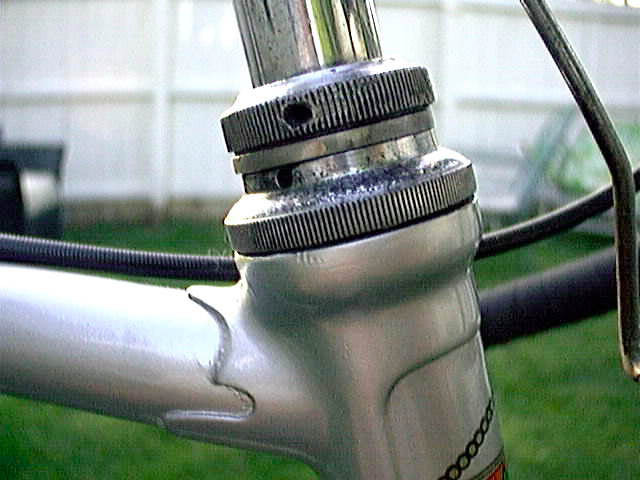 Seat cluster detail showing the typical lugs of the day. 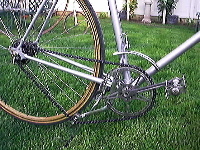 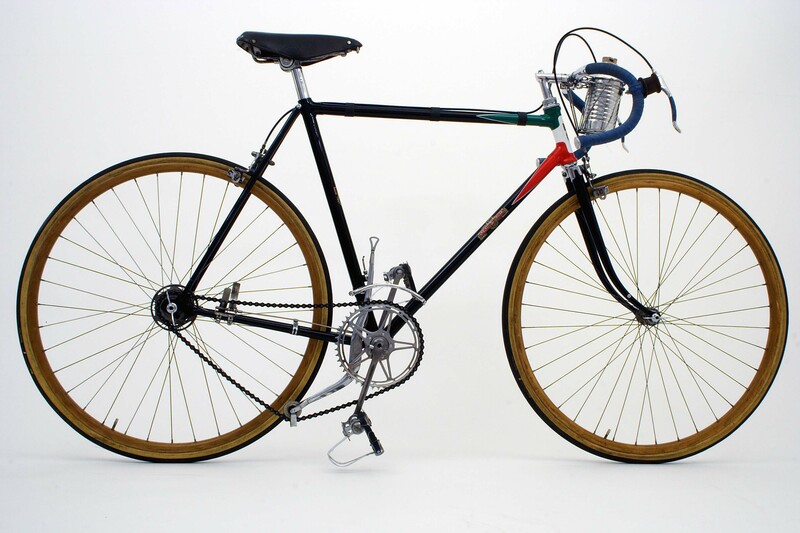 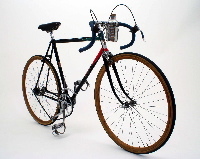 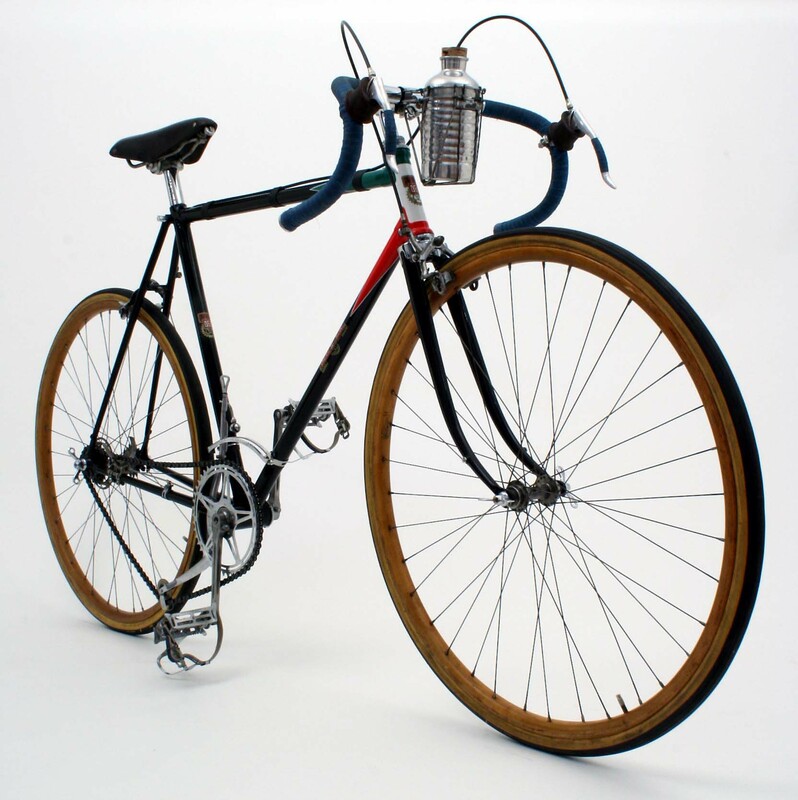 Thanks to Steven Maasland and Ray Homiski for pictures of and information on this bike.